Quotations about Amendments. Quotes to stimulate mind and drive action! Use the words and quote images to feed your brain inspiring things daily! 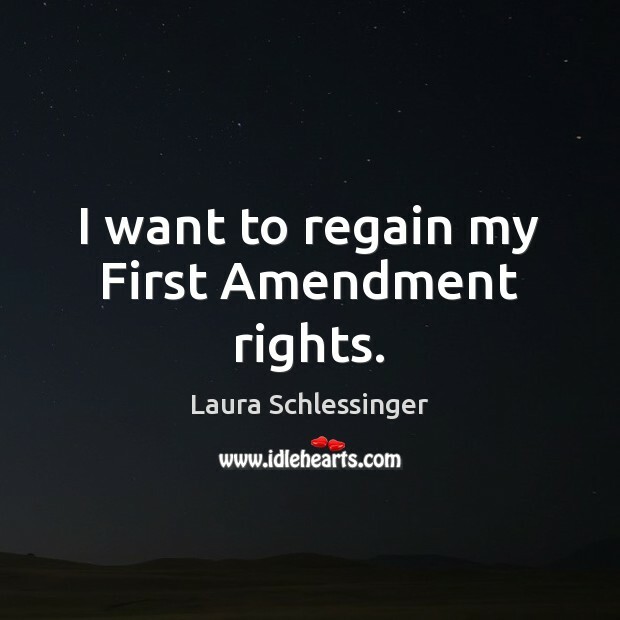 I want to regain my First Amendment rights. 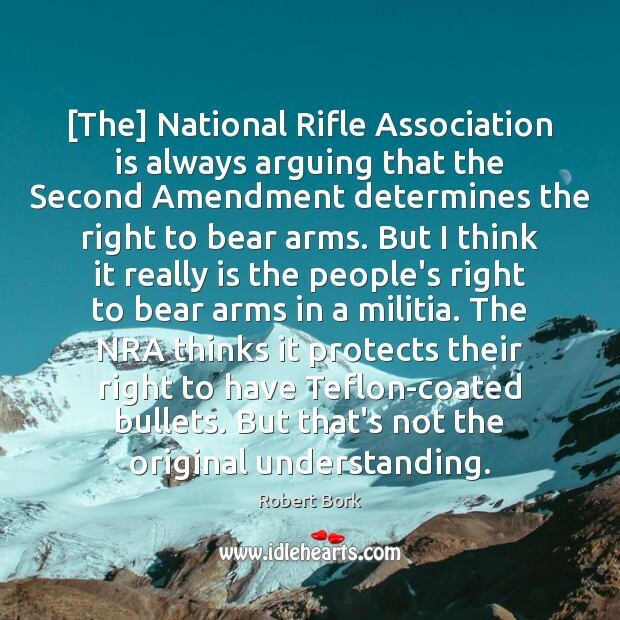 [The] National Rifle Association is always arguing that the Second Amendment determines the right to bear arms. But I think it really is the people's right to bear arms in a militia. The NRA thinks it protects their right to have Teflon-coated bullets. But that's not the original understanding. 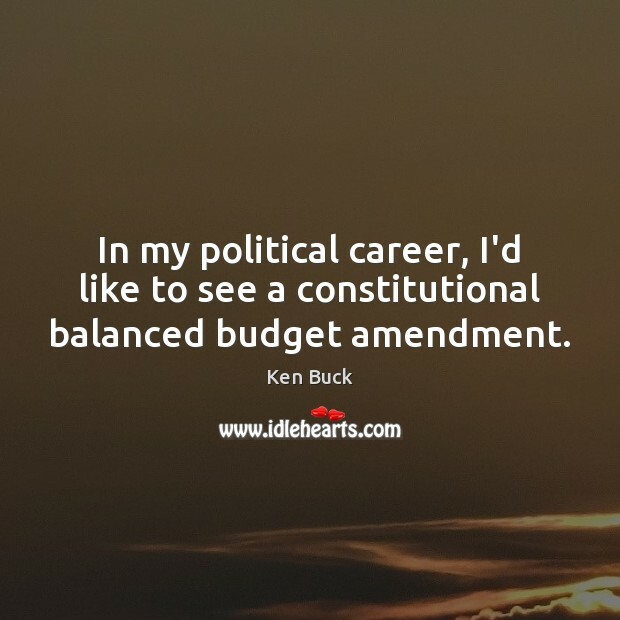 In my political career, I'd like to see a constitutional balanced budget amendment. 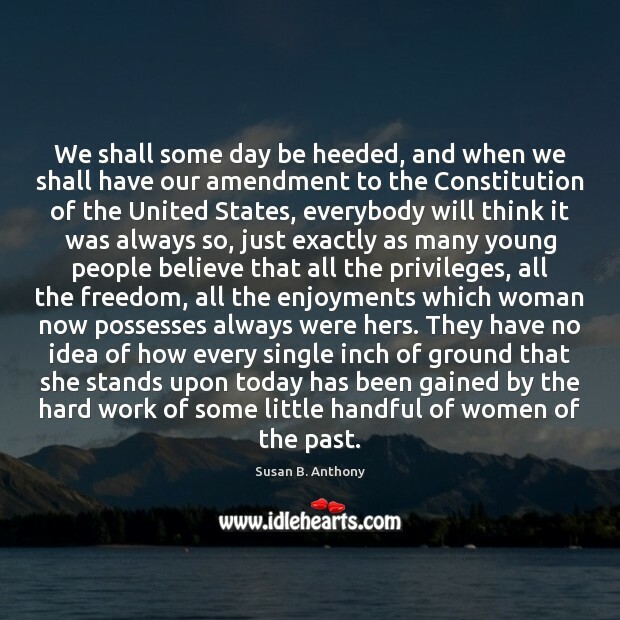 We shall some day be heeded, and when we shall have our amendment to the Constitution of the United States, everybody will think it was always so, just exactly as many young people believe that all the privileges, all the freedom, all the enjoyments which woman now possesses always were hers. They have no idea of how every single inch of ground that she stands upon today has been gained by the hard work of some little handful of women of the past. 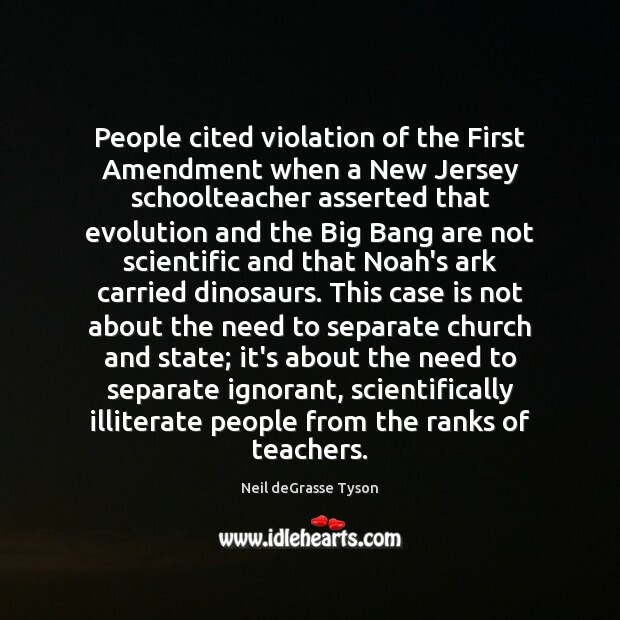 The First Amendment has created a wall of separation between the church and the State. But that wall is one directional. It is to keep the government from running the Church. 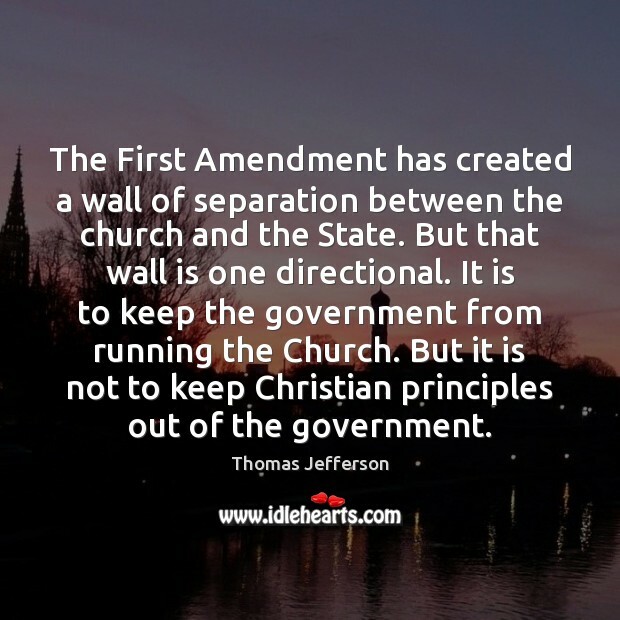 But it is not to keep Christian principles out of the government. 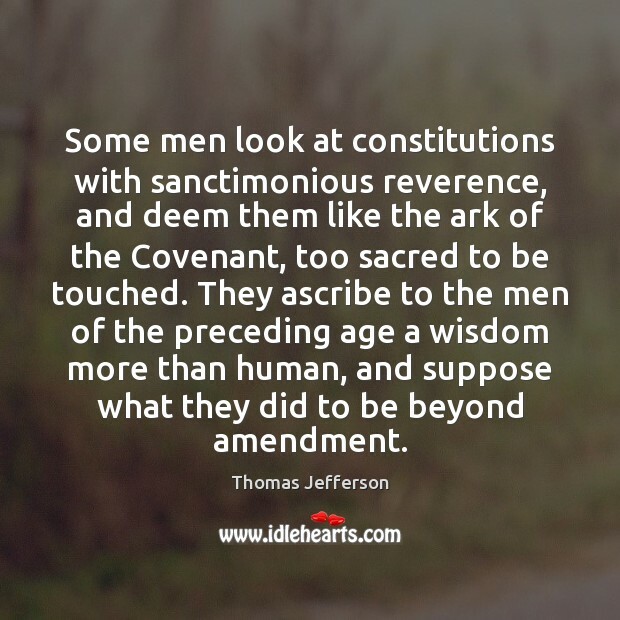 Some men look at constitutions with sanctimonious reverence, and deem them like the ark of the Covenant, too sacred to be touched. They ascribe to the men of the preceding age a wisdom more than human, and suppose what they did to be beyond amendment. 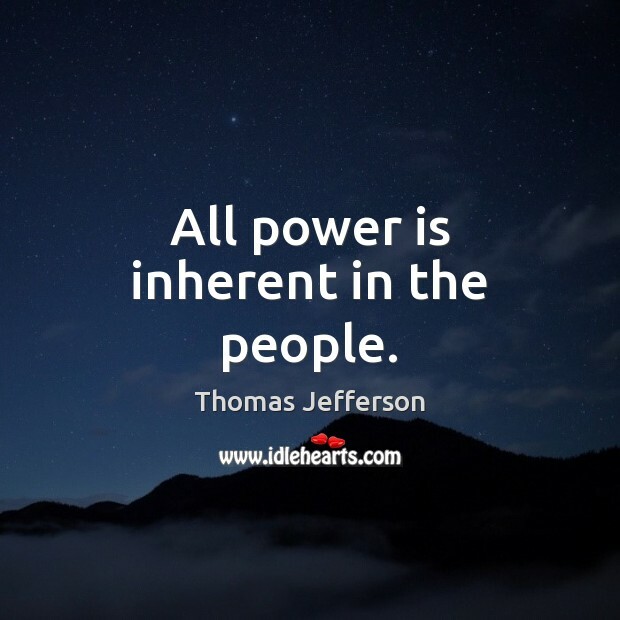 All power is inherent in the people. 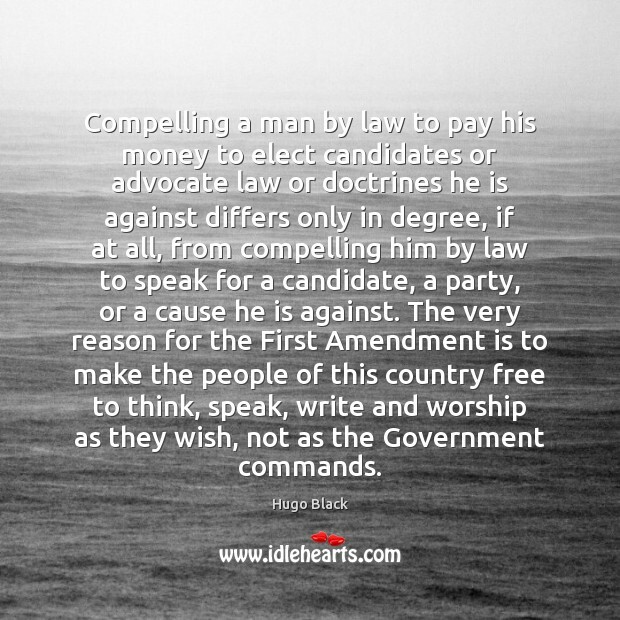 Compelling a man by law to pay his money to elect candidates or advocate law or doctrines he is against differs only in degree, if at all, from compelling him by law to speak for a candidate, a party, or a cause he is against. The very reason for the First Amendment is to make the people of this country free to think, speak, write and worship as they wish, not as the Government commands. 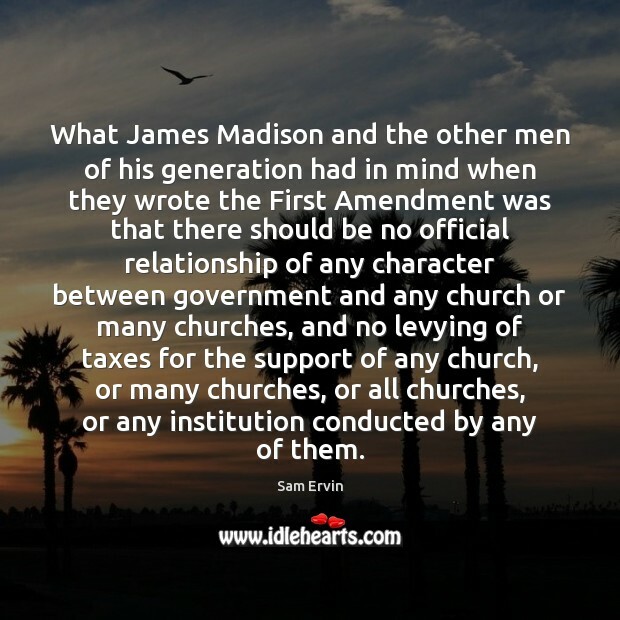 What James Madison and the other men of his generation had in mind when they wrote the First Amendment was that there should be no official relationship of any character between government and any church or many churches, and no levying of taxes for the support of any church, or many churches, or all churches, or any institution conducted by any of them. No one understands that the First Amendment is only important if you are going to offend somebody. 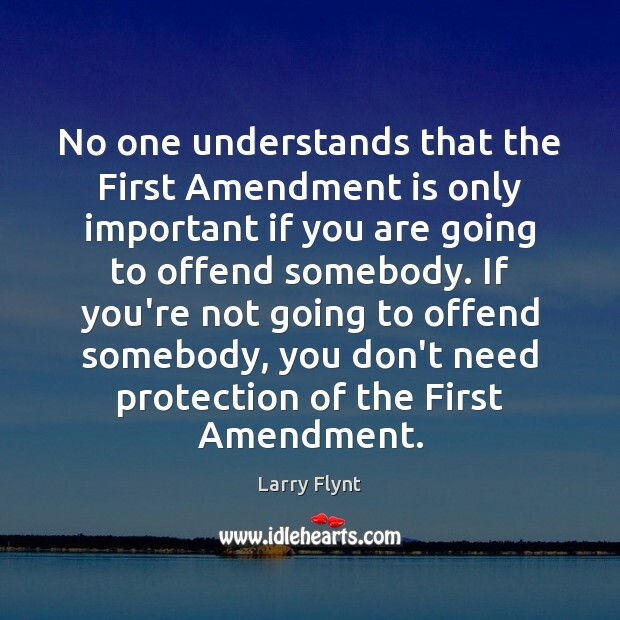 If you're not going to offend somebody, you don't need protection of the First Amendment. The current total of countries in the world with First Amendments is one. 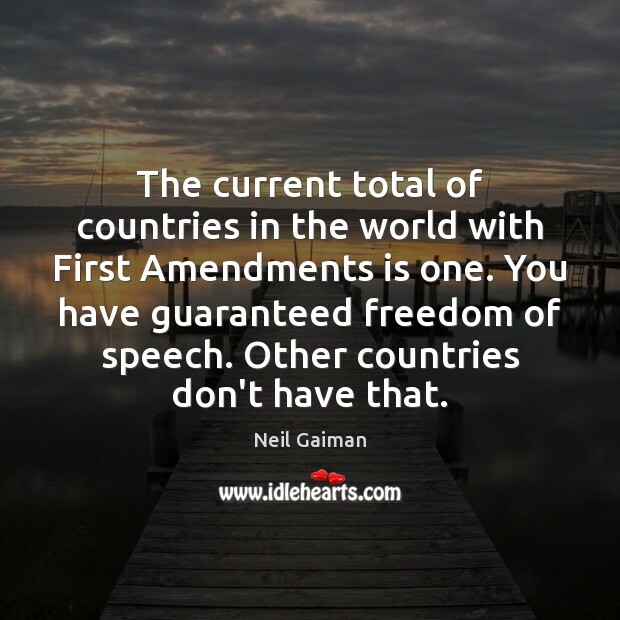 You have guaranteed freedom of speech. Other countries don't have that. Three conditions are necessary for Penance: contrition, which is sorrow for sin, together with a purpose of amendment; confession of sins without any omission; and satisfaction by means of good works. 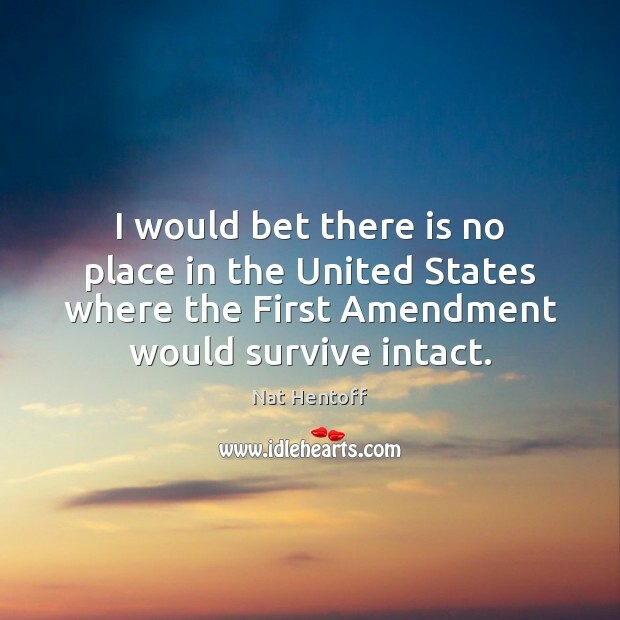 I would bet there is no place in the United States where the First Amendment would survive intact. 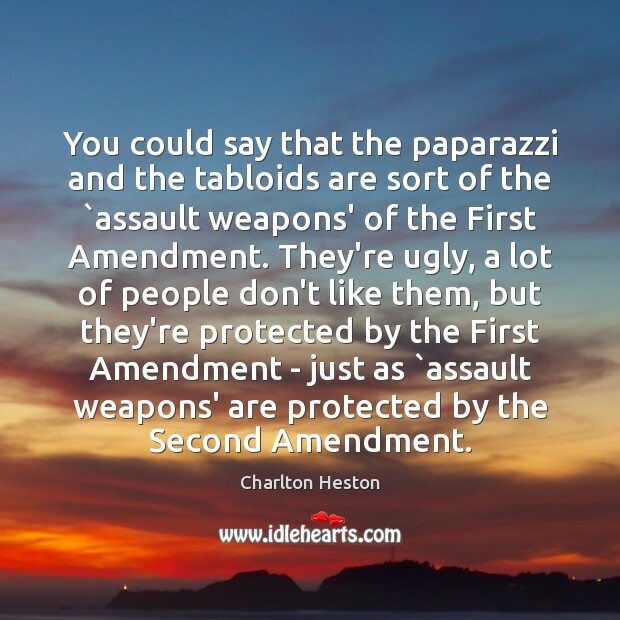 You could say that the paparazzi and the tabloids are sort of the `assault weapons' of the First Amendment. They're ugly, a lot of people don't like them, but they're protected by the First Amendment - just as `assault weapons' are protected by the Second Amendment. 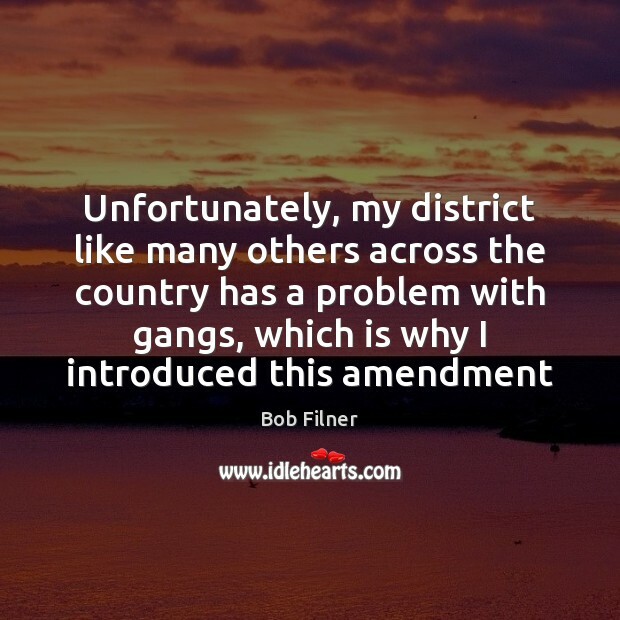 I support local solutions to illegal immigration as protected by the 10th amendment. I support making English the official language of all documents and contracts..